Research, teaching, and test procedures at the Institute of Aircraft Propulsion Systems focus on life cycle analyses, condition monitoring of aeronautical engines, structural mechanics, and aero propulsion systems of the future. Turbojet engines: these are the machines that propel airplanes. At the Institute of Aircraft Propulsion Systems (ILA), everything revolves around turbo engines and air-breathing aero propulsion systems. ILA research areas represent four perspectives on conceptualizing, designing, and operating turbojet engines in theory and practice. We do basic research, simulate high tech propulsion systems and carry out testing of prototypes. 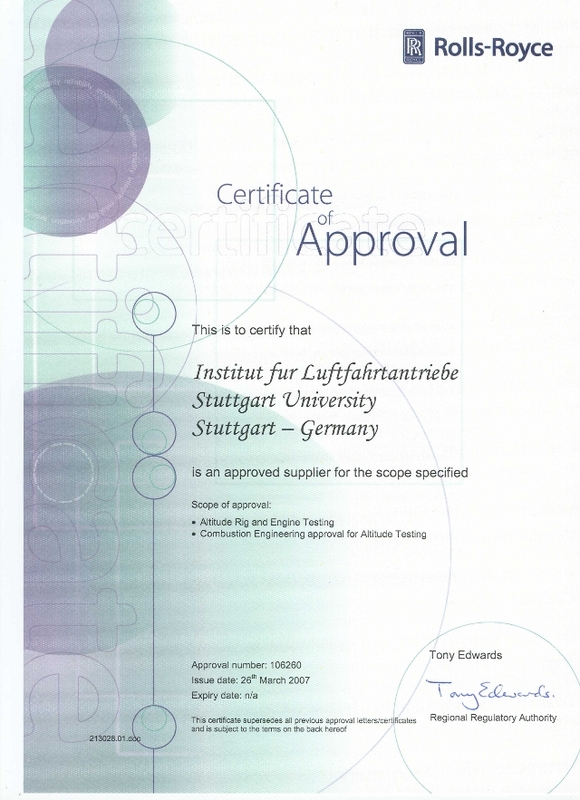 Test stands for aeronautical engines are an Institute specialty. Whole engines or their modules can be fired up in our hangars so we can observe how they perform at high altitudes. We can directly measure and observe how they operate under different air pressure, temperature and humidity conditions, using a variety of stand-alone measuring apparatus and high-performance computers. 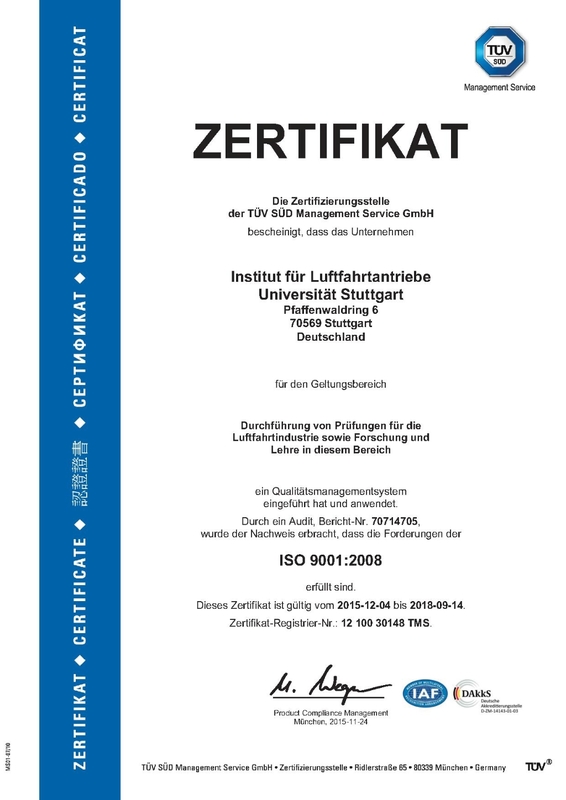 We are continually improving and expanding ILA’s facilities at the University of Stuttgart, so that our measurements and tests can contribute to the development of next-generation turbo jet engines. In both theory and practice, aeronautical propulsion systems are a subject in aerospace engineering. Bachelor’s students learn the fundamentals requisite for an engineering career. The Master’s study program offers you the chance to complete a construction of your own design.